The Queen and senior members of the Royal Family are to gather to celebrate 50 years since Charles was given the title of Prince of Wales. Charles was created the Prince of Wales when he was only nine years old, on 26 July 1958. 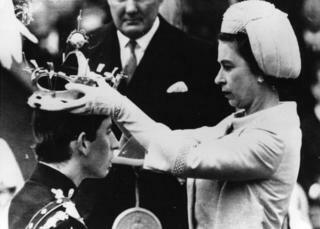 He was invested with the title by the Queen at Caernarfon Castle 11 years later, on 1 July 1969 - when he was 20. A special reception will be held at Buckingham Palace on 5 March where the investiture regalia will be on show. Heir to the throne Charles, the Duchess of Cornwall, the Duke and Duchess of Cambridge, the Duke and Duchess of Sussex and the Princess Royal will be attending. Leading figures in Welsh and UK public life will also be present, as well as representatives from the future king's many Welsh charities and patronages. Buckingham Palace said the reception would mark the prince's half century of service to Wales, the UK and the Commonwealth. The investiture regalia worn by Charles in 1969 will be on show, including the investiture coronet, sword, ring and rod, as well as the letters patent for the creation of Charles, Duke of Cornwall as Prince of Wales. The reception will finish with a musical performance in the ballroom by students from the Royal Welsh College of Music and Drama, of which the prince is patron. The performance will include a new piece written by Welsh composer Paul Mealor, inspired by the legend of the Lady of Llyn y Fan, a mountain lake near Charles' Welsh home, Llwynywermod in Carmarthenshire.